If you want to understand the international competitive dynamics of artificial intelligence, particularly the US and China, starting with the United Nations is probably not a bad move. This week, I spoke with Irakli Beridze, the head of the Center for Artificial Intelligence and Robotics at the UN, particularly under the wing called UNICRI, the organization’s crime and justice division. Irakli was kind enough to invite me to speak at a recent event in Shanghai held by the UN and by the Shanghai Institutes for International Studies on national security, and when we were there, we talked a good deal about China’s unique AI-related strengths. I spoke with Irakli about the strengths of the ecosystem in China for artificial intelligence and how that stacks up against the US. In addition, I asked Irakli about what it’s going to look like to encourage more and more multilateral action. In other words, how do we get countries to be on the same page so AI doesn’t become an arms race? Expertise: Chemical weapons prohibition. Artificial intelligence for law enforcement. AI policy. Brief Recognition: Berdize started the first United Nations Programme on Artificial Intelligence and Robotics in 2014. He has coordinated events at the United Nations General Assembly and other international organizations. Prior to joining UNICRI, he was Senior Advisor to the Director General of the Organisation for the Prohibition of Chemical Weapons. He holds a Master’s degree in International Relations and Affairs from the University of Tampere. (02:30) What is helping China proliferate not only the technical side of AI but the ability to bring AI to life? What do you see those strengths as, from your perspective? IB: China is a huge country. It’s a big country with one of the strongest economies in the world. By growth, I think it’s right now, the number two economy in the world. By population, it’s number one and it’s a big, diverse, strong country. Now as far as AI is concerned, China was one of the first countries in the world which adopted the AI National Strategy back in 2016 already. They developed it, they announced their ambition to dominate the world with this technology and by doing that, they will be investing a lot of funds and lot of knowledge and lot of effort in doing so. One of their biggest strengths, they said they have the government, the private sector, and academia working hand-in-hand in achieving this goal. Their National Strategy facilitates that, their investment strategy facilitates that, and the private sector also is wholly buying into this issue. Same thing from the private sector and the same thing from the government. That’s really a big powerful strength they have, right? At the same time, China has a huge population and having a huge population means they have big number of users and big number of data which they can acquire and analyze to develop further and to make AI even more powerful. Then if you look at, for example, WeChat, which is the Chinese version of WhatsApp, it has almost 1 billion users. This is a big number and it accumulates big data and they have the capability to analyze the data because their computing power is also powerful. Plus, the algorithms which Chinese-based intellectuals and people are developing also is supporting the process. (5:30) What does it really mean for the government, academia, and business to be in alignment? IB: …The type of alliance between government, between the private sector, and academia does bring a unified vision, which they believe can actually yield into positive results for the Chinese economy and also for the development and for the innovation. (07:00) What does China need to work on? 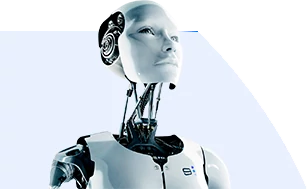 IB: I think that those in China will not be any different than any other larger economies in the world who are investing in this technology like artificial intelligence because right now we see a big push in the European Union. The European Union has developed their national strategy. Individually, the UK is doing great deal, the United States, although it doesn’t have the national strategy, but it is still, by far, the largest contributor to the development in artificial intelligence by having the presence of giant companies from the private sector and the accumulation of unbelievable amount of data and it’s analysis. Therefore, I don’t think that China will be any different. They will be developing in all different ways. In other countries, sectors like healthcare, for example, transportation, energy, will be benefiting a lot. The same way as security, for example, which we have a great deal of focus on and which we are working on from our center as well, looking at the issues of how law enforcement agencies could use AI and how criminals could use it and how this could be counteracted by the relevant authorities in the countries. So, I think that all of these sectors will be developed, more or less, in a simultaneous way, because in large countries, they will be going in diversified ways, rather than picking one or two sectors, while in smaller economies or smaller countries, they don’t have the luxury of going everywhere. I mean, for example when the United Arab Emirates announced the appointment of the Minister of Artificial Intelligence and that huge funding, they also chose some strategic directions. Their announcement was that, although UAE is a very wealthy country, having a large economy, it still does not have a luxury of going everywhere on AI, but they just chose some strategic directions. But in a country like China, I think that they do have a luxury of having a big economy, at one point maybe becoming even the largest economy in the world, which could have a luxury of going everywhere, in every sector, and using it later on to see how and which sectors they would be picking more. (10:00) Is there anything you’ve seen from China’s perspective on how they’re aiming to address the gap in terms of relative density of true AI expertise, people who know what they’re doing in this field? IB: Right now, the US is attracting more talent, the US has fantastic universities, fantastic companies, and people are attracted to come there. What I’ve seen in China, and this is also exemplified in their strategy as well, is that they are also now trying to attract talents from different parts of the world. Their companies, as well as academic institutions alike, are also issuing scholarships or competitive salary packages for western expertise to come and work on development of these technologies in China. They’re also working on retention of their talent within the country, so not allowing Chinese expertise to go outside as well. I think that this trend will continue. They will see results coming out of this strategy. I think more funding will be available to go to the Chinese Universities and scholarships, more competitive salaries will be available for the people to work in Chinese companies and a flexible attitude towards attracting the talent will be implemented there as well. I can see that trend continuing into the foreseeable future, definitely. (11:30) When you think about the factors that you’re most optimistic about encouraging a cosmopolitan spirit in the domain of AI and security, what are those things that you hope will get that job done, that will foster that general sense of same-teamedness in the species, as we build very, very capable tech in the decades ahead? IB: First of all, we live in a completely interdependent world right now. So, we have one internet which is providing a huge platform of cooperation for billions of people and we are not living any longer in an isolated world. Even prior to internet when we had the Cold War, 30-35 years ago…some sort of information vacuum was possible. Right now, this era is gone and the only way to actually prosper and the only way to get benefits is fostering this interdependency and helping each other to build a better world, right? I mean, I sound extremely optimistic right now. There are a number of channels which are happening and which gives me a sense of this optimism. We have many levels of cooperation between big countries on technologies like artificial intelligence, for example. We have scientific cooperations going on, we have the participation of Chinese or American or European private companies, experts and academics in each other’s events and in each other’s collaborations, which is really important. For example, if you take Wuzhen Summit, which is one of the biggest internet summits held in China every year, last year I was fortunate to participate there as a speaker in one of the working groups and sessions. Over there, we had the CEO of, for example, Apple, speaking there and the CEO of Sysco Systems speaking there alongside the CEO of Alibaba, Tencent, and Baidu. So, it was a very high-level cooperation among tech companies. Obviously, political climates can change, political climates can affect certain dynamics, but I still see this as short-term hiccups, rather than long-term problems because unless we will be living in an isolated world, like where we were living hundreds of years ago, we will not have those kind of occurrences. (16:30) Is this collaboration in part just a function of exposure? Is part of this just an osmosis question of, “can we build more good reasons to like and learn from one another?” At a high level, is that a big part of the dynamic? Are there undercurrent aspects of what has to happen there to really make that turn into something, to really turn into a cosmopolitan spirit? As I was sort of emphasizing earlier, right now in the era of the internet, this is not that difficult to have access to so much research and so much collaboration when something is published today…That provides a lot of breath for optimism as well. This same thing is happening in the tech world. Obviously, there is a lot of competition, there could be some tensions involved, and some could be caused by certain, sort of, political climates, so overall if you look at it, I don’t see the trend is that bad. Actually, the trend, most likely will continue for greater collaboration and greater exchange of knowledge. Obviously, there will be differences in understanding of certain issues and approaches, and this is something, I mean, you can’t say somebody’s wrong, somebody’s right, but at the same time, when we have more of this kind of collaborations, what we did, for example, in Shanghai together, yet another bridge we built there and this is a permanent bridge where we’re going to have a permanent dialogue. And we will be continuing these events. We will be bringing the next one in Europe, another one possibly in the United States, and then we will circulate and make this interesting triangle between Europe, the US, and China. Irakli’s hope for multilateral effort around artificial intelligence governance and safety is echoed elsewhere. Our recent “AI FutureScapes” series is drawn from surveys of over 30 AI PhDs, and tackles big-picture questions around AI governance and even post-human intelligence (explore the full FutureScape series here). Should international bodies (like the United Nations) play a role in the development and application of future artificial intelligence? Why or why not? While some AI PhDs believe governance and guidance efforts to be futile, the overwhelming response from our panel (63%) was in favor of some kind of international governance effort. Most of these responses explicitly addressed overcoming AI risks (killer robots, malicious survailance technologies, AGI). Only about 1/3 of those in favor of intervention from international bodies cited “sharing the benefits of AI” (physical abundance, curing diseases, etc) as a reason for mutlilateral efforts. Statements about AI’s benefits were almost always coupled with a concern for AI risks. [Sponsored] With speakers such as the Director of Applied AI Architecture at Alibaba and Chief Architect at Baidu, the summit is a place to garner insights on the hardware that could bring more AI to the enterprise and meet over 200 technology leaders in the field of AI.